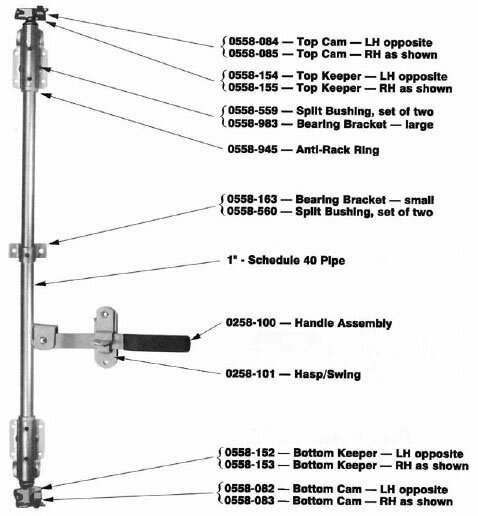 This lock can be supplied as a complete weldment using 1″ schedule 40 pipe or it can be supplied as a kit of parts less pipe for welding in the field. Normally supplied with a hot dip galvanized finish. 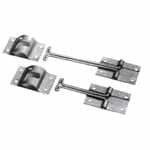 Cams and keepers are of forged steel, supplied with two anti-rack rings, two large bearing brackets with nylon bearings and one center bracket with nylon bearings. 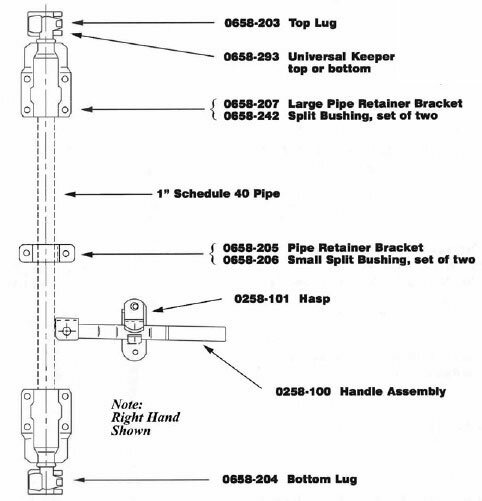 If a weldment including pipe is desired, with exact specifications for size and location of parts. Plating is done after the assembly is complete. This lock can be supplied as a complete weldment using 1″ schedule 40 pipe or it can be supplied as a kit of parts for welding in the field. 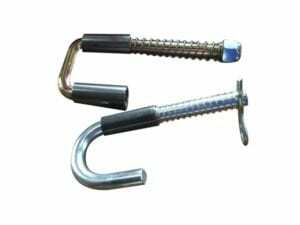 Supplied with two large brackets with nylon bearing, one center bracket with nylon bearings, two keepers, two cams, one handle, and one hasp. The top and bottom cams may be reversed so that the lock is either right or left hand.